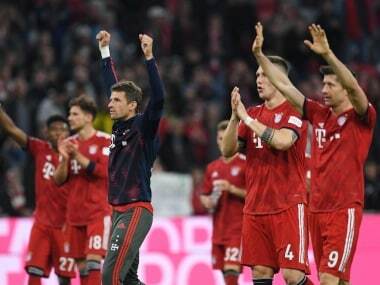 Berlin: Robert Lewandowski humiliated his old club on Saturday as Bayern Munich obliterated Borussia Dortmund with a scintillating 5-0 win to reclaim their spot at the top of the Bundesliga. 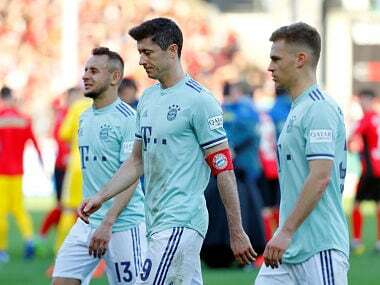 Bayern began the day under immense pressure, having slipped two points behind Dortmund in the title race a week earlier. 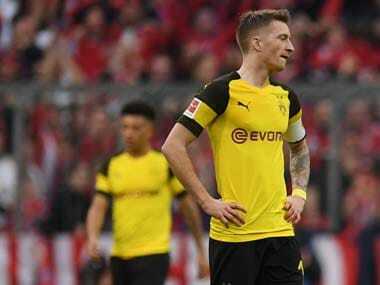 They ended it on cloud nine, after a masterful first-half performance left Dortmund in the dust and put Bayern on course for a seventh successive league title. 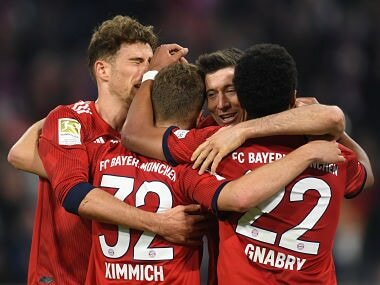 The champions are now just a single point ahead of Dortmund in the title race, but the two teams were separated by a gargantuan gulf in quality at the Allianz Arena. But the Dortmund keeper could do nothing to stop the Bavarians' third, a blistering strike from the edge of the area from Javi Martinez. With their defence in disarray, Dortmund could only watch on as Serge Gnabry headed in Bayern's fourth just before half-time. Lewandowski rubbed salt in the wound by netting his second goal just before full-time. The win leaves the title race finely poised on paper, but with Dortmund in the doldrums and Bayern bouncing, Niko Kovac's side are now firm favourites to finish first. Fourth-placed Frankfurt, meanwhile, snatched a late 2-1 win at Schalke. Schalke's Suat Serdar cancelled out Ante Rebic's opener, but Frankfurt were awarded an injury-time penalty by VAR and Luka Jovic fired in the winner. Matheus Pereira gave Nuremberg the lead, but Stuttgart's Ozcan Kabak's controversial equaliser was allowed by VAR despite an apparent offside in the build-up.